The Chinese manufacturer Xiaomi really cares about MIUI custom skin features and improvements. Two days ago, the company released an update for Mi MIX 3 device which improves slider settings. Last day, Xiaomi Mi 8 Explorer Edition (translucent back) gets Android 9 Pie update. 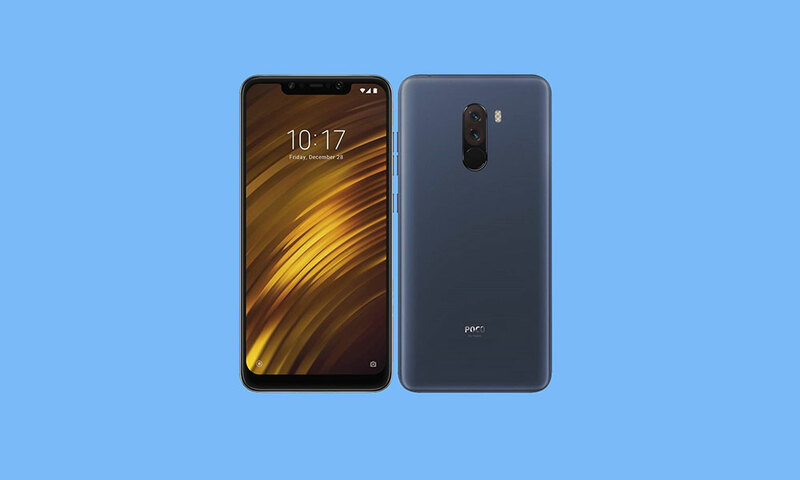 The company has released an OTA update for Xiaomi Poco F1 device with a version MIUI 10.8.12.4 back in December last year. We have already discussed the upcoming camera update possibilities and it’s arrived. Now the Chinese manufacturer released an update of MIUI 10.2.2.0 for Poco F1 with December Security Patch and 960fps videos with a super low light mode. Though the Qualcomm Snapdragon 845 chip capable of running 4K video recording @60fps, the Xiaomi Poco F1 doesn’t support it by default. As we all know, the Poco F1 is the best budget smartphone under Rs. 20,000 in India based on the specifications and features. It’s also the flagship-killer device in that price segment in terms of some other flagship devices. While the General Manager of Poco India recently tweeted officially that the 4K@60fps video recording will be rolled out in February. The GM also mentioned that the team is working with the partners for providing Widevine L1 certification soon. But now you can enable 4K@60fps video recording on the Xiaomi Poco F1 device. The device comes with 12MP + 5MP dual rear shooter and a 20MP AI front camera as well. The stock MIUI camera offers great options and portrait shots. But now after the update, the device can record 960fps videos and a low light mode which increases the image quality than earlier. It basically combines all the 8 photos with different exposure into 1 image to provide a more life-like experience. It means the best quality photo will be filtered automatically by the system and AI from all the 8 images. 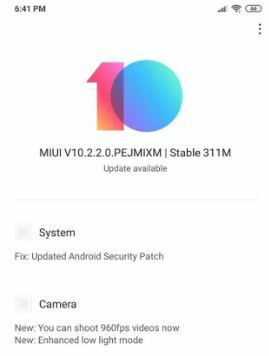 The device now receiving MIUI V10.2.2.0.PEJMIXM Stable OTA update officially by Xiaomi. The update size is around 311 MB and will be rolled out in batches. So, it will take some time to roll out completely. The handset is already running on Android 9 Pie officially with MIUI 10 Stable ROM and now this is an addition to it. You just need to wait for the official OTA notification to get the stable version.